Short-eared Owl by Sandra and Frank Horvath via Great Backyard Bird Count photo contest. Big Days are a great way to enjoy the outdoors. They can be competitive, serious, pedal-to-the-metal affairs, or they can be relaxed, casual events with the emphasis squarely on fun. You can zoom from hotspot to hotspot in a car, bicycle at a slower pace, or even just pick one fine vantage point and do a Big Sit. Whether you’re planning for Global Big Day or choosing to have a big day of your own on any other day of the year, we’ve got some ideas that will help you make the most of it. Start Small. Big Days can be as big or small, long or short, as you want. You don’t have to spend all 24 hours awake, outside, and birding. If you’re new to Big Days, try a Big Hour if you like. Find Your Inspiration. Classic Big Days are all about species totals—but yours doesn’t have to be. It could be about visiting a place you’ve always wanted to see, or finding one or more of your area’s specialty birds, or trying to get a final tally on that giant flock of gulls down at the lakeshore, or rounding up all the members of a bird family that occur in your area—anything. You can find eBird hotspots all over the world. The eBird project gathers tens of millions of sightings each year—and eBird developers have created a tool called Hotspots that lets you browse through all those bird sightings. It’s like having a 24-hour advice hotline to the most experienced birders in any area. To use the tool, first zoom the map (or type your town into the Location bar). Then select your date range—that way you’ll see just the birds you’re actually likely to see on your Big Day. Brighter colors show the spots with more species reported. Click on any of the pins to see recent sightings and other details (including notes and photos). Here’s more on how to use the Hotspots tool, and this example of how to plan a day trip using Hotspots. Related tip: if you have a specific target bird, eBird species maps can help you quickly find where and when to look for it. A quick look at a BirdCast 3-day migration forecast can tell you which day offers the best prospects for your Big Day. Most Big Days happen during migration, because that’s when so many species are on the move. But migration is highly dependent on weather: one day can be dead while the next is positively jumping. During our own Team Sapsucker’s record-breaking Texas Big Day in 2013, flexible timing was the key to shattering the U.S. Big Day record by 30 species. We’ve got two great apps for your two most important parts of a birding day: identifying species and recording them. They both work on Android and iOS, and both are free. Merlin Bird ID uses your location and date to help you ID more than 2,000 species of birds. It also has a Photo ID feature that is amazingly accurate. eBird Mobile makes it easy to keep a running tally of the birds you’re seeing, flags unusual reports so you can double check while you’re still out, and lets you note sightings even when out of mobile coverage. The app also tracks how far you’ve traveled to make reporting easier. By the time you get home, you can go straight to celebrating your Big Day instead of transcribing your checklist! 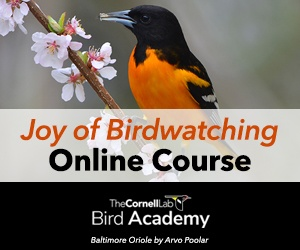 Bird Academy’s Bird Song Hero offers some great ideas on how to visualize bird song. Birding by ear is a perpetual learning experience. But it’s also the key to a successful Big Day, since your ears can detect so many more birds than your eyes. Our Macaulay Library archive is a great place to listen to bird songs—there’s even a spectrogram feature that allows you to “see” the sound you’re learning. If you’re new to spectrograms, Bird Song Hero is a fun game that teaches you how to “read” them. We’ve also got song-learning tips from our staff, from the authors of the Warbler Guide, and in this archived seminar from song expert Nathan Pieplow. You can even create a customized quiz featuring only bird sounds from your area, with the newly launched eBird Photo + Sound Quiz tool. Watch this introductory video for more on how and why to join eBird. There’s also a bigger reason for using eBird: helping the community. The data that make the eBird Hotspots tool so useful come from people just like you. 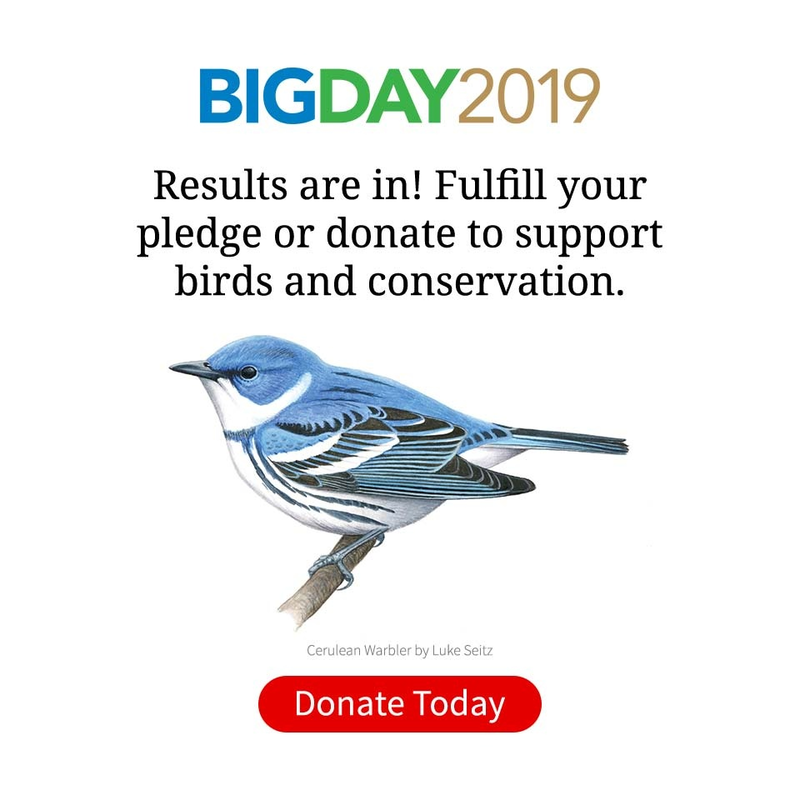 And at a bigger scale, all that data drives the groundbreaking Big Data analyses that scientists are using to understand birds at a bigger scale than ever before in history. Your sightings can become a part of a better, more informed future for birds. And with eBird you’ll be ready: any day—or every day—can be a Big Day. Sign up for eBird here—and happy bird watching!